To be frank here in the west we need to find ways to treat acid blood, the scourge of modern living and rebalance our body. Acid wastes are not only from food and drink but also from stress and other pollutants that are dumped into the bloodstream and lymph. Keep in mind that an alkaline pH of 7.5 and above is the only range that is beneficial to your good health. An alkaline body is in a healthy state therefore allowing your body to fight bacterial and infectious disease as well as many other chronic and potentially serious conditions. WHAT MAKES ALKALINE WATER SO SPECIAL? Alkaline water has an abundance of electrons and a negative charge. This scavenges free radicals and reduces oxidation of your body, in turn slowing down the aging process. Everything you put in your body either increases or decreases oxidation. Therefore, everything we consume either reverses or accelerates the aging process. Ionized, or alkaline, water has smaller molecule clusters than regular water. Sometimes referred to as reduced water, it gains an excess amount of electrons but the cluster of H2O seems to reduce in size from 10 to 13 molecules per cluster to 5 to 6 molecules per cluster. These small clusters are able to permeate your body's cells and hydrate much more effectively. This makes the water and minerals better able to be absorbed by your body. It also allows your cells to fill up with water and flood out the toxins within. Alkaline water can help to neutralize acids in your bloodstream, boost your energy levels, increase intracellular hydration and replenish minerals. Additionally the detox effect may slow the aging process and help to prevent diseases caused by extended acidic pH levels. Alkaline water is a powerful antioxidant, helps to improve digestion and metabolism and lowers blood sugar levels. When we refer to pH we mean (potential for hydrogen). The ‘H’ in pH is capitalized because the symbol for hydrogen is capital H.
The pH scale reflects the concentration of hydrogen particles called ions in a solution. The varying degree of concentration of hydrogen ions in a solution is represented by a scale, the pH scale. You can see from the pH scale that a low pH number corresponds to a high hydrogen ion concentration, which makes the solution acidic, and vice versa. So when a substance is added to water and it increases the concentration of hydrogen ions (lowers the pH),it is called an acid. And when a substance that reduces the concentration of hydrogen ions when added to water (raises the pH) it is called a base, or alkaline. It’s a bit confusing but all you need to know is as the H+ ion concentration increases, the pH decreases. As the OH- ion concentration increases, the pH increases. WHY SHOULD YOU CONSIDER BUYING FROM US? We recognise alkaline water is new to us in the west but it has been studied in Japan, Korea and China for almost 40 years and is routinely accepted as a powerful antioxidant by doctors and patients. With this in mind we have done our research and have sourced a complete range of quality, high performance, non electronic, affordable, alkaline water products. They all produce high pH and negative redox readings in the same way that electronic water ionizers do for a fraction of the price. They are also simple to use and require little maintenance and some are portable so you can take your healthy water with you wherever you go. Our alkaline products mimic nature by gently using gravity and capillary action to produce pure sweet tasting healthful water. All of our alkaline water products have high pH levels, so by making it part of your daily diet it encourages your 'inner pharmacy' to restore its natural balance. The chemical acid-base buffer systems of the body fluids, (known as the bicarbonate buffering system) which immediately combine with acid or base (alkali) to prevent excessive changes in hydrogen ion concentration (pH level). The respiratory centre, which regulates the removal of CO2 (carbon dioxide) and therefore carbonic acid from the extra cellular fluid. The kidneys, which can excrete either acid or alkaline urine, thereby readjusting the extra cellular fluid hydrogen ion concentration toward normal during acidosis or alkalosis. As well as pH levels being important so to is something called the waters Oxidation Reduction Potential (ORP or Redox). Many leading water researchers from Asia agree that in ionized water the elevated pH is good, but that ORP is just as important. Alteration to the ORP is what causes micro-clustering, antioxidant and oxygenating effects. When something is being oxidised, the molecules of the substance are being combined with oxygen. Its the same effect you can see when metal rusts or a sliced Apple turns brown. In essence oxidized cells become damaged and useless. What the body needs are high levels of antioxidants to protect against this oxidative damage. When something is measured as having a negative ORP, it is healthy for your body. It is an antioxidant. Antioxidants work by calming unstable oxygen molecules called free radicals, which are responsible for oxidising cells. When antioxidants neutralise free radicals, they are on a type of suicide mission. The antioxidants themselves are oxidised or, in chemical terms, reduced. When the reading is a positive ORP it means it is an oxidizer and damaging to your cells. So the relationship between pH and ORP goes like this: - low pH or acid solutions are also [+] ORP, while alkaline solutions in the presence of active Hydrogen contain [-] ORP a vital part of chemical processes in our body as a protective antioxidant. Ceramic Dome Filter- acts as a physical barrier against pathogenic bacteria and protozoan cysts and has a fine pore size of 0.2 micron (0.0002 mm). Bacteria range in size from 0.2 to 5 micron such as E.Coli, Shigella and Salmonella. Giardia Lamblia, Cryptosporidium, and other Protozoan Cysts are 1-15 micron and are efficiently filtered out. The filter also acts as a pre-filter to the next multilevel filter. Multilevel Carbon Filter- The Carbon cartridge has five stage filtration: 1. Silver activation granular carbon, traps dirt, rust, silt chemicals such as chlorine and ensures the water has a great taste. 2. Silica Sand a combination of oxygen and silicon. Silica is the mineral which promotes healthy bone and connective tissues and helps prevent premature aging, cardiovascular and Alzheimer’s disease. 3. Zeolite a natural volcanic material with a unique ability to exchange cations (positively charged ions). This substitution of ions enables Zeolite to selectively absorb harmful heavy metals such as mercury, lead and chromium. Zeolite exchanges sodium ions for calcium ions which results in soft water. 4. Mineral Sand is composed of many health related elements such as potassium, sodium, calcium and magnesium. It keeps the water fresh. Finally 5. Ion Exchange resin which can remove any traces left of heavy metals. Alkaline Filter- The Alkaline Filter main purpose is to raise the pH of the water filtered through the ceramic and multistage filters. It contains a predominance of biominerals which do just that. It does not contain the full spectrum of minerals that are contained in the other filters that we sell as it has to raise the pH of a large body of water. It mostly contains Tourmaline but also Water-Soluble Calcium Carbonate Ore, Coral Fossil, Binchotan Charcoal, Maifansi stone and dechlorinating stone. Tourmaline has a unique pyroelectric effect which generates negative ions on interacting with water. It also reduces water clusters. It contains several silicate minerals. Zeolite is found where volcanic rocks react with alkaline ground water. lt is negatively charged & absorbs free radicals & viral particles making it a unique antioxidant. Maifanshi is often found in mountain streams and is commonly used as a health additive. It helps to absorb toxins and supplies trace minerals to the body & helps in cleaning &ionizing water. Far Infrared benefits the whole body. It is thought to improve blood pressure balance, blood sugar and oxygen flow to the cells thereby increasing muscle strength and acuity. Muyu Jade is found in marine deposits & contains over 25 different minerals. When soaked in water for several hours it creates high quality mineral water and is prized for these qualities. Benonite is used to treat skin & internal ailments. It is said to help viral infections, stomach flu & parasites. It enriches & balances the blood & helps with intestinal track disorders. 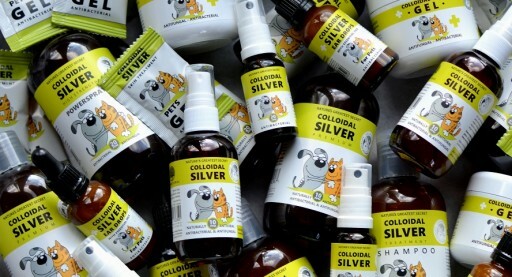 Nano Silver is antviral, antibacterial & antifungal. Tests show that it neutralises over 650 pathogens & micro-organisms. 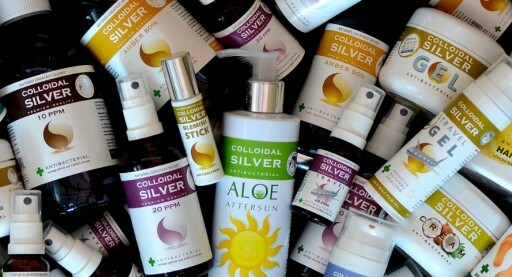 See Colloidal Silver for more on the value of silver to health.